On Thursday Chicago native Chris Brown (no, not that twerp), one of the most fascinating members of the Bay Area creative music scene, makes a rare trip home for a concert at Elastic. Few musicians so easily straddle the divide between improvised music and contemporary composition, but Brown has a knack for both—he's a restlessly curious and adventurous explorer. Thursday's event will find him representing both sides of his musical personality. One of his primary areas of investigation has been processing live sounds with computers or networks of computers. On his album Talking Drum (a 2005 Pogus reissue of an album originally made for Sonore in 1999) Brown feeds field recordings (both street sounds and musical performances) made with binaural microphones in Cuba, Bali, Turkey, Philippines, the Netherlands, Canada, and the U.S. into a computer network that responds to the sounds. 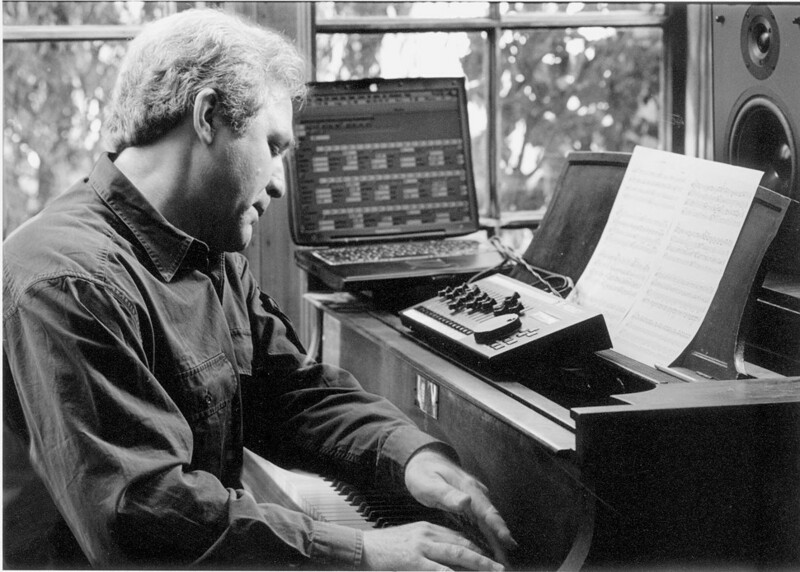 As Brown writes in the liner notes, "While the entire performance system is synchronized by one computer, each computer station generates independent results using genetic-programming algorithms which are affected by acoustic musicians' performances." It makes for serious headphone music, as if the listener were thrust into a specific, visceral sonic world in constant motion with ever-shifting dynamics and perspective. After the jump you can check out a track from the album: "Invention #1." Headphones definitely recommended. The pianist plays in sync with the computer that generates rhythmic ostinati in three different meters, only one of which matches the meter of the piano part. Each of these three rhythmic streams is independently interactive with the piano's MIDI output, evolving towards a rhythm between the pianist's and the computer's current performance. Each computer rhythm is also influenced by a pre-composed core-rhythm, or clave, and the sequence of 73 presets of these triple claves defines the piece. Whenever the pianist plays, the computer responds in rhythm and usually also in pitch. The pianist uses the written part to synchronize clearly with the computer, but also as a springboard for improvisation using the pitch-classes in each cell, which form an evolving mode threading through the piece. The goal is for the pianist is to "groove" with the computer as it evolves ostinati in three different meters at once, generating new variations in response to the pianist. During the second set he'll improvise on piano with modular-synth player Brian Labycz, cellist Fred Lonberg-Holm, and percussionist Michael Zerang. You can get an idea of his improvisational brilliance on Vermilion Traces, Donaueschingen 2009 (Leo), a terrific double CD released last year. There Brown joins the great German saxophonist Frank Gratkowski and Bay Area percussionist William Winant; his most exciting contribution is his live signal processing, which refracts the lines of his cohorts into hall-of-mirrors distortions and multiplications.